ORACLE PEOPLESOFT – Comprobase, Inc.
Comprobase has provided PeopleSoft consulting services since 2002. Today we remain an Oracle Strategic Partner, Comprobase is a team of seasoned, highly spirited management, functional, technical, architecture, and DBA professionals who are spread across the United States. Comprobase delivers value through a partnership model where not-only goals, objectives and commitment are shared, but also where cultural compatibility strengthens the combined. 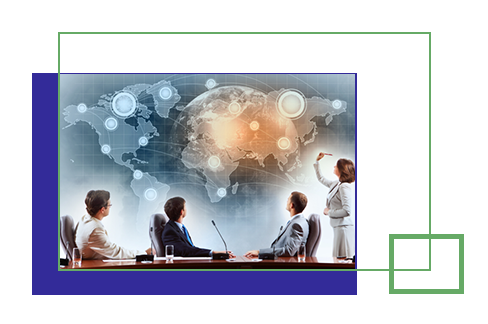 Leadership in PeopleSoft space – We are a leader in PeopleSoft space having executed 100+ PeopleSoft projects. We bring to bear this collective experience and expertise to and not only resources. Proven Methodology and Toolkits – We will utilize our robust and proven methodology to deliver quality product within schedule at an optimized cost. Skilled PeopleSoft Practice – As one of the competent PeopleSoft practices, we will deploy experts who will leverage their skills and expertise to make your projects successful. As an organization focused on implementing Oracle PeopleSoft applications, Comprobase developed a milestone and deliverables-based methodology geared specifically for these solutions. A methodology that harnesses the experiences of 15 years of PeopleSoft expertise to deliver to our clients the assurance of on-time, on-scope, on-budget implementations. Comprobase recognizes that it is imperative that your PeopleSoft implementation partner understands your business, not just the options offered within the applications. Our team of consulting professionals, armed with tools and templates to support our methodology, partner with your organization to realize the full potential of your software acquisition Comprobase delivers value through a partnership model where not only goals, objectives and commitment are shared, but also where cultural compatibility strengthens the combined team. We will work with you to maximize your investment in PeopleSoft applications through the implementation of modules purchased but not currently in use. PeopleSoft 9.2 will bring the business value you demand – both your user experience and your support model will move you to higher levels of satisfaction and efficiencies. Maximize the value of your PeopleSoft investment by leveraging the latest technical and functional enhancements. Position your organization to take advantage of the continuous delivery model for new functionality available in the 9.2 application releases. Preserve your investment without ongoing capital expenditures for hardware by leveraging the power of Cloud based infrastructure. We have successfully moved PeopleSoft customers to AWS Cloud. As one of the most experienced and knowledgeable PeopleSoft consulting firms, Comprobase can help your organization empower managers with the information they need to optimize resources, reduce costs, and improve the effectiveness of operations. Get the most out of the modules you have implemented by adopting new features, providing self-service access, and applying new ways of thinking to old business problems. Comprobase is poised to become your Level 2 support organization. Whether it’s responding to day to day support needs, performing new integrations, or delivering knowledge transfer or formal education, Comprobase will support your needs on-demand. By offering programs tailored to your unique needs, we can become a strategic partner to the business and IT.